Christian Powers, 42, of Gorham has always dreamed of opening his own bed and breakfast. From the wallpaper, to the square footage, to approximate costs, he jokes that he has the blueprints down in his mind. If not that, he said, he would enjoy being a hotel manager. But he feels as if he is unable to pursue those dreams. Diagnosed with Asperger’s syndrome around age 30, Powers has been collecting Social Security Disability Insurance for more than a decade. He works part-time as a hotel housekeeper despite having two degrees: a bachelor’s in history and a master’s in paralegal studies. That’s because if he earned more than $1,170 per month he would lose Social Security Disability Insurance and likely MaineCare, the state’s version of Medicaid. He wants to work full-time, and is able, but the fear of losing his benefits, mainly his MaineCare coverage, is what keeps him from pursuing a full-time job. He feels trapped in poverty, he said, and there doesn’t seem to be a way out that’s worth the risk long-term. He isn’t alone in his quandary. People with disabilities face a lose-lose situation, described in a 2005 study by Mathematica Policy Institute: Do they live in poverty to remain on public health insurance that covers needed services and medicine, or get a job and switch to expensive private insurance that’s more restrictive in what it covers? But while this reality — work and struggle to afford medicine, or stay home and struggle to live — is well known, there are in fact programs and incentives out there to ease the transition to work. It’s just that few people seem to know about them. Below are seven main work incentives to help prevent people with disabilities from losing critical health benefits when they return to work. But it’s important to know a few things first. First, there are professionals who can help people with disabilities navigate the network of incentives and understand how returning to work could affect their benefits. The six counselors with the Community Work Incentive Coordinator program, based at Maine Medical Center in Portland, are a widely unknown and underused resource in the state, said Simonne Maline, the executive director of the Consumer Council of Maine, which lobbies on behalf of those with mental health disabilities. Maline has grappled with the issue personally. Second, the type of bridge program someone qualifies for will depend on the disability benefits he or she is receiving. “To the average person, disability is disability. And they don’t realize that there are different types of disability benefit programs, each with their own earnings rules,” said Stephanie Desrochers, who coordinates the Maine Medical Center benefits counseling services program. As of February 2017, about 85,000 Maine people between the ages of 18 and 64 were collecting Social Security Disability Insurance, Supplemental Security Income or both, according to the Social Security Administration. Maine is facing an impending loss of 111,000 workers over the next couple decades, according to top economists. Helping those with disabilities to work could help close the gap. One way the state can help more people with disabilities to work would be to ensure they know about various incentives that can get them into the workforce without losing the services they depend on, according to those familiar with the incentives. The types of work incentives people with disabilities can use depends on what kind of benefit they collect. 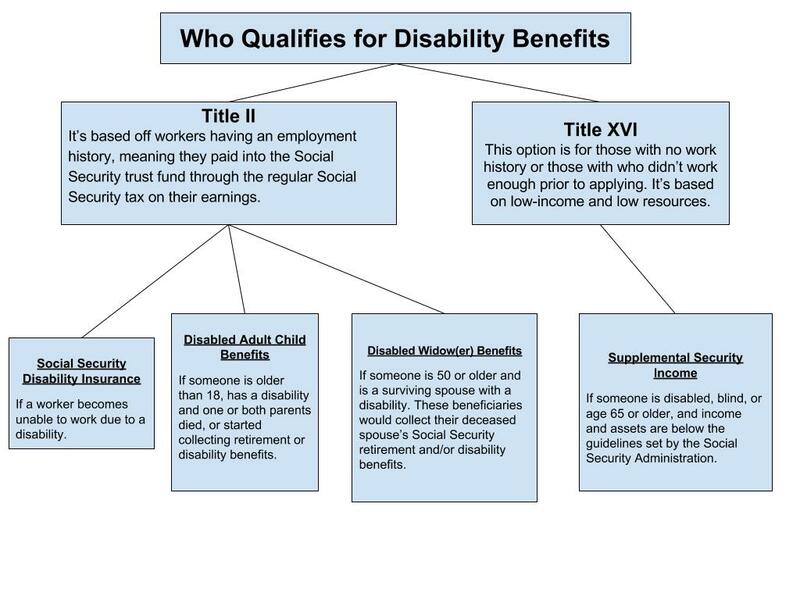 Here are five incentives for people eligible for disability benefits under Title II. — Trial work period. People with disabilities can get a trial work period during which they can work as much as they want, with no limit on their income, without losing their disability check. The trial period can last nine months, and the months don’t need to be used consecutively. It kicks in on months when someone’s earnings exceed a certain threshold. “It gives you nine months to go out and really just focus on finding the right job match for you, or the right number of hours and the schedule and the type of job capacity that is good for you, without fearing the loss of your cash benefits,” Desrochers said. — Extended period of eligibility. Once the trial work period ends, people remain eligible for Title II benefits for up to three years and can continue to receive a check for every month they don’t make above a determined threshold. Called an extended period of eligibility, it’s a safety net for every month they don’t make above that threshold, so the check can be reinstated. It’s all or nothing: Either the person makes below the threshold and receives a check or reaches the threshold and gets no check. In 2017, the monthly earnings threshold was $1,170 for someone who is not blind and $1,950 for someone who is blind. Desrochers noted that people earning over the threshold can deduct the cost of disability related equipment or services that help them work with a disability to adjust their qualifying income level. Examples include copays for medication or bus fees if they are unable to drive. — Expedited reinstatement of benefits. Once someone stops receiving Title II benefits after they start earning enough, they have the option to immediately restart benefits without having to reapply. The quick benefits restart option is available within five years of terminating benefits. The Social Security Administration will provide six months of provisional benefits, no questions asked, while it reopens someone’s file and determines if the person is still eligible. “If you called up tomorrow and said, ‘I can’t do this anymore,’ you would get a check in May and the next five months after that, while Social Security does what they need to do on their end to determine if you are still disabled and eligible for benefits,” Desrochers said. — Extended Medicare coverage. If someone with a disability is on Medicare, they can stay on Medicare for at least seven years and nine months after their trial work period ends, no matter their income, with the extended Medicare coverage option. — MaineCare option for workers with disabilities: There is a MaineCare buy-in option for those with disabilities who are over the regular income limit. With this option for workers, someone with a disability can pay in at a maximum of $20 a month to retain their MaineCare benefits. For 2017, the maximum income level for an individual to qualify for the MaineCare Option for Workers with Disabilities is $2,513 per month. But for this option, only half of a person’s job earnings are counted to determine eligibility. Hypothetically, if a person’s sole income were from a job, they could make up to $5,222 a month, or $62,664 a year, after applicable deductions and still qualify. The catch is that all “unearned income,” or income not earned from a job, is counted in full toward that limit. This would include any disability benefits such as Social Security Disability Insurance or Supplemental Security Income, veteran’s benefits or retirement benefits. To qualify, all “unearned income” must be less than $1,005 a month if single or $1,354 if married. — 1619(b). It’s an option that allows people to retain MaineCare even as their incomes rise and they stop receiving a monthly check. A provision referred to as 1619(b) allows someone who meets every other requirement for Supplemental Security Income except for the income requirement to earn more money while staying on MaineCare. This option does not apply to those who receive Title II benefits. “As long as you follow all of the other SSI rules like you have to still have a disability [and] your assets have to be below a certain level, you can still keep your MaineCare as long as you fall below the 1619(b) level for your state,” said Desrochers. For 2017, someone using this option in Maine can earn up to $35,735. That amount can rise or fall each year. Desrochers has seen it as low as $31,000 and as high as $43,000 during her time at Maine Medical Center. On a case-by-case basis, people can be allowed to earn more money depending on other factors, such as higher-than-average medical costs. The Social Security Administration makes the final determinations in determining a person’s individualized threshold amount. — Private health insurance premium: With this option, someone with a disability would sign up for private insurance, using it as their primary insurance provider, while also signed up for MaineCare. The private insurance provider would shoulder a majority of the health costs, with MaineCare reimbursing the recipient for deductibles, co-pays and premiums, as well as needed services that are covered under MaineCare but not under the private insurance. Instead of paying for all services, MaineCare would only receive the secondary bills, Desrochers said. Not only does the state have to spend less but the person can still receive all services. To qualify, a person or someone in their family must be enrolled in MaineCare and have access to some form of private insurance, and this option must be less expensive than regular MaineCare coverage. The Maine Department of Health and Human Services makes the final determination on whether someone can use this option. Benefits counselors can be essential for people with disabilities to understand the benefits system, but there are not enough coordinators to meet demand if more people sought help. Currently, the benefits counseling program at Maine Medical Center only has six community work incentive coordinators to serve clients across the state. In total, they serve about 1,000 clients a year. These benefits counselors are vital for those who have been on benefits and don’t know how to get off. Powers is among those people who are reluctant to give up those benefits, at least for now. He’s already used his nine trial work period months and is familiar with the other incentives, but the uncertainty of it all is what stops him. He said he has heard stories of people where things didn’t go as planned. Rising pharmaceutical costs are a concern for him. For now, it’s easier to just stay on benefits than to risk life without them. This fear is something Desrochers hears everyday from clients, she said, and she understands how real that fear is.